One of the more frustrating things for me as a teen was navigating between 98.7 Kiss-FM and 107.5 WBLS to catch DJ Red Alert and Marley Marl on my analog tuner. Buying two receivers and two tape decks was out of my reach, but it would have been a good move. Still, there is something charming about many of the tapes in my collection which are recordings of me going back and forth between the two shows, switching during commercial breaks or when Red or Marley would play a song I didn’t care for (which was rare). Who had the better show is one of those musical debates that once consumed a lot of our bandwidth (metaphorically speaking) but remains suspended in time, unsettled. In the right room with the right group of friends, these debates can be reignited with the same passion they did years ago: in the 80s, Boogie Down Productions vs. The Juice Crew; in the 90s, Biggie vs. Tupac, and so on. With respect to Red and Marley, deciding this debate is moot because they were both kings at what they did on these shows, and both mean so much to countless people, many who don’t even realize it. 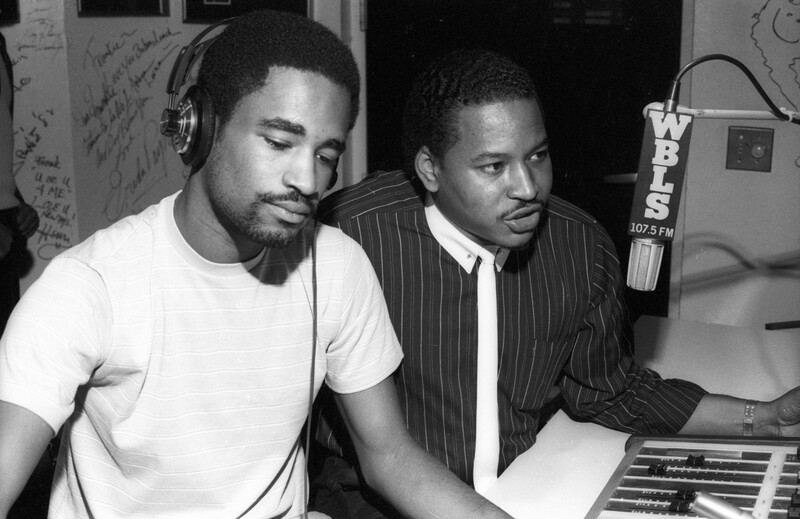 In terms of their radio programs, just about the only thing that Red Alert and Marley Marl had in common was that they were both presenting hip-hop music in a mix-show format. Other than that, they couldn’t have been more different. Red, as both DJ and personality, opened the door to his on-air party, inviting us in week after week, making us feel good with his sometimes silly banter and music that was for the most part positive. But on WBLS, Marley was for the most part just the DJ, playing second fiddle to Mr. Magic, the slick-talking, self-appointed “official voice of hip-hop” who had been on the radio in NYC since 1979. The show, after all, bore his name—Mr. Magic’s Rap Attack—and Marley was initially hired to be his assistant, one of the duties being mixing records on-air. (It wasn’t until ’88 that the time slot became Marley’s exclusively, rechristened as Marley Marl’s In Control.) Magic was a divisive and controversial (but entertaining as hell) figure, instigating the various beefs that involved Red and Marley and their musical allies. As the rivalry between these two shows — which started in ’86 and peaked ’87 — heated up, the musical lines were drawn. Their playlists rarely overlapped. When they did, it was typically with established mega-stars like Run-DMC and new heavyweights Public Enemy, Eric B. & Rakim and EPMD. What made things particularly interesting was that Marley was singlehandedly responsible for producing so many of the most important and beloved records from ’86 on, establishing new trends and innovations in hip-hop production over and over. To name a few: “Eric B for President,” “My Melody,” “Make the Music with Your Mouth Biz,” “Nobody Beats the Biz,” “The Bridge,” “It’s a Demo,” “Raw” and many, many more. Red had to be smart about which of these records he played because he couldn’t concede anything to Magic. Sure, there are Marley-produced cuts that Red would play and there were songs, such as “Lyric Licking” by Just-Ice (produced by Boogie Down Productions’ KRS-One) that Marley would air, but these were exceptions to the rule. If Red was the charismatic pied-piper of New York hip-hop radio, Marley was the technical wizard who worked quietly behind the scenes. A little-known irony is that Marley originally came from electronica (though it wasn’t called that until many years later), inspired by producers like his favorite, Giorgio Moroder. He practically lived in recording studios in the early 80s, at one point interning for electro super producer Arthur Baker, immersing himself in technology—synthesizers, sequencers and early samplers—that was rare and prohibitively expensive. By the time he started making hip-hop records with MCs, he was already a studio master, miles ahead of the competition. If Magic was going to set off beefs, whether it be with Boogie Down Productions, Public Enemy, Red Alert or LL Cool J (whom he accused, on air, of being a “beat biter” when the original “Rock the Bells” dropped, using the exact drum pattern from “Marley Scratch” by MC Shan), he couldn’t have had a better backup than Marley Marl, whose technical electronic sensibilities also infused his DJ style. When Magic’s show aired, Marley turned that time into a constant, kinetic barrage of multiple music sources and surprises. Unlike most hip-hop DJs, Marley was an impeccable blender of beats, playing records simultaneously for minutes at a time, often with scratching on top supplied from a third turntable. To be clear though, Marley didn’t just blend. He cut the hell out of records, on air and on many of the classics he produced. It wasn’t uncommon for Marley to add sound effects and snippets from movies and television, like Woody Woodpecker or Star Trek, to make a point or add a dose of humor. Overall, a Marley tape was a canvas filled with world premiers of future hits, skilled megamixes of new rap and some R&B, exclusive remixes and live in-studio sessions with guest artists, all assembled and executed with a master’s touch. Let’s dive into a tape recording of Rap Attack on WBLS from December 18th, 1987, when Marley he was in a league of his own as a producer. Starting things off, Magic makes a holiday announcement, asking listeners to drop off gifts for the less fortunate to the WBLS studios on 2nd Avenue, and cues the listeners to call the hotline for a chance to win a Rap Attack gift pack. Underneath his voice is the instrumental of The 45 King-produced “This Cut’s Got Flavor” by Flavor Unit member Latee. After Magic takes care of business, Marley drops the holiday-appropriate “Christmas in Hollis” by everyone’s favorite, Run-DMC. At 3:30, we hear Latee’s record again, but this time with the signature Rap Attack “world premier… world premier” drop that let everyone know to pay attention because something serious was about to go down. I imagine it was a pretty big deal to be virtually unknown, from NJ no less, with a tune produced by someone other than Marley and have it presented as a world premier by Mr. Magic. Incidentally, Red Alert used to rinse this record as well, and Mark the 45 King would become a staple on his Kiss-FM radio show. Around the 7:00 mark, Latee gets blended into an a James Brown-infused instrumental, and just as quickly as “This Cuts Got Flavor” ends, within a few seconds, Marley starts going to work on the intro of Big Daddy Kane’s “Word to the Mother(land),” a record he produced as the b-side to “Raw.” In typical Marley fashion, he blends in the instrumental of the next record, M.C. Tee & Lord Tasheem’s “Talkin’ Loud,” before Kane’s final verse is over. When it finally is, Marley uses the phono/line switch on his mixer to transform scratch Kane’s last word “peace” for several bars. As primitive as it sounds now, hearing a DJ transform live in 1987 was special. 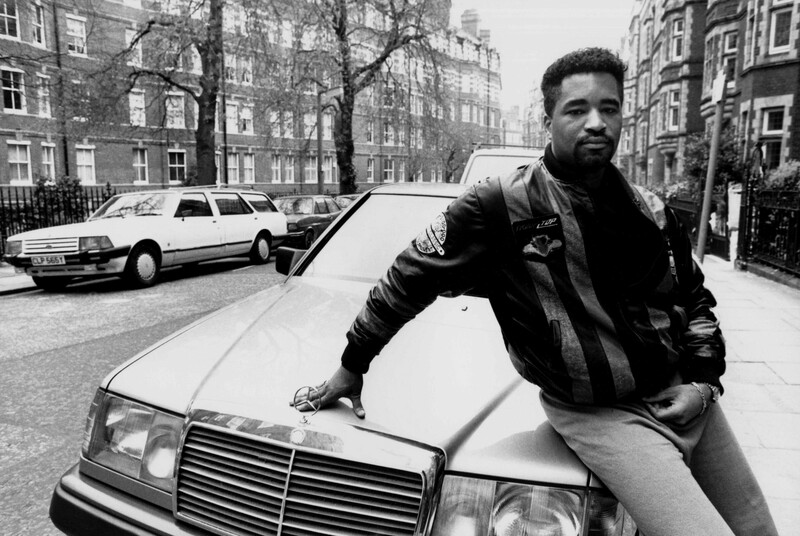 Marley Marl in London, 1987. At 14:48 Magic handles station business, followed by three commercials, the first an ad for Eddie Murphy’s Raw, the second a spot for Colt 45, and the third Profile Records’ Christmas Rap Album. At 20:44 Marley drops the forgettable “Get Down” by British emcee Derek B, out of which he mixes the instrumental to “Make the Music with Your Mouth Biz,” followed by another record that has not aged well, “Good Foot” by Prince Quick Mix & Derrick Dee. Things get back to expected standards at 28:00 when Marley mixes in another one of his productions for Roxanne Shante, “Have a Nice Day.” But after just one verse, he switches back to the instrumental and brings Salt-N-Pepa’s “I Am Down” right on top of it, letting them ride together for a while. We catch a glimpse of “Public Enemy No.1” and a bit of Hot Day’s “Once in a Lifetime Groove Megamix” bootleg before Magic turns on his mic to announce more winners, having a hard time reading Craig G’s hand writing. Craig laughs in the background. Marley then lets Hot Day’s record play out, and afterwards mixes in Sweet Tee’s “Let The Jingle Bells Rock.” Marley seamlessly blends in the instrumental of another monster he produced, Big Daddy Kane’s “Get Into It,” which incorporates the same drums as the Sweet Tee record—Funk Inc.’s massive “Kool Is Back” break. At 38:05, over Kane’s instrumental, Marley brings in “I Got An Attitude” by Antoinette, a shot at MC Lyte that has most definitely aged well. Hard. Near the end of side A, Magic casually mentions that they got something special from Kane coming up. Time to flip the tape! After their chat, Magic prompts Kane to kick a rhyme over the instrumental of “Do The James.” Kane obliges and does what he does best, spitting some rhymes from his as-yet-unreleased game changing “Ain’t No Half-Steppin’.” At 49:30 Marley mixes in Teddy Ted’s mix of what is arguably the biggest rap record of ’87, The Audio Two’s “Top Billin’.” At 53:34 Marley blends in a record by Compton’s King Tee & Mixmaster Spade, “Ya Better Bring a Gun,” an early flip of Taana Gardner’s “Heartbeat.” (Three years later, Marley would give King Tee a murderous remix of “At Your Own Risk”). 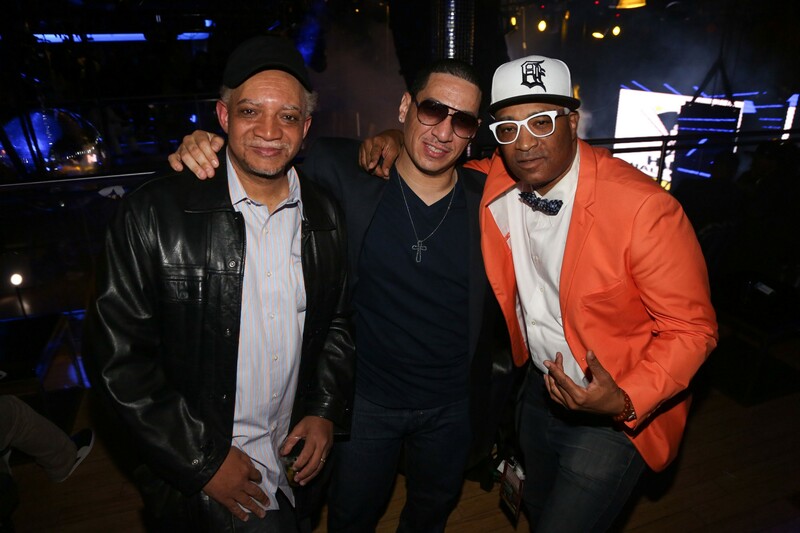 It’s almost a shame that Marley Marl and Red Alert were on the air at the same time. 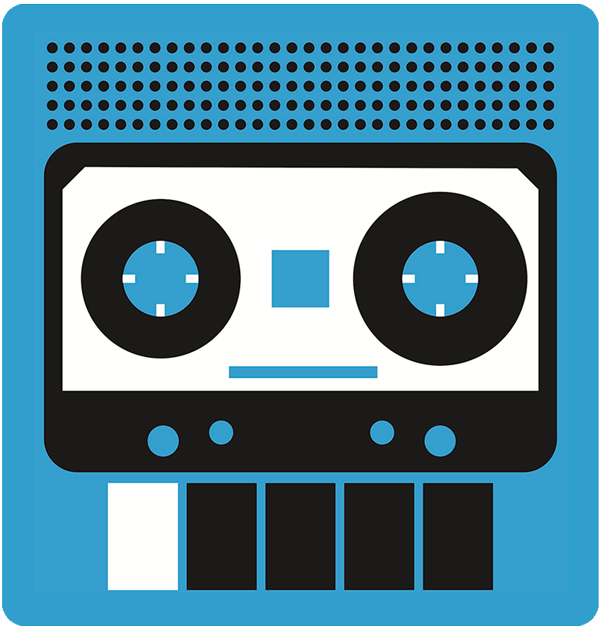 Luckily with cassettes, missed shows could be traded and dubbed so that rabid fans could have every exclusive freestyle, new remix or world premier from the previous weekend, but more importantly so that we, decades later, can still tune in to these shows which remain some of the best moments in the history of hip-hop music. Make that music, period. Follow Stretch Armstrong on Twitter @StretchArmy.